My mom loves the tarte au citron from Paul patisserie. 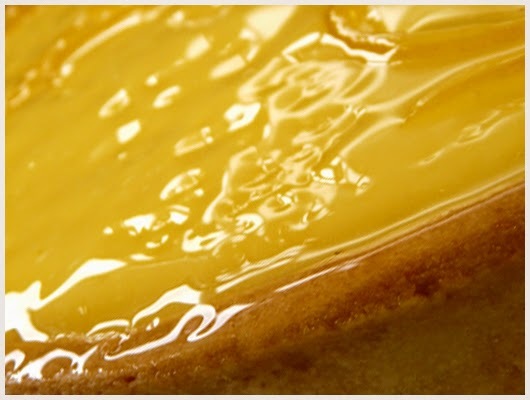 The Great British Bake Off tarte au citron recipe is as good as any I have tried previously. Mary Berry shares her secrets for a classic lemon tart. It can be made up to two days in advance, but don’t decorate it until just before serving. 1. Place the flour, butter and icing sugar into a food processor. Pulse briefly until the mixture resembles breadcrumbs, then add the egg yolk and water. 2. Pulse again until the mixture sticks together in clumps then tip onto a work surface and gather it into a ball with your hands. Knead the pastry just two or three times to make it smooth. If your butter was a bit too soft, the pastry might be too. If so, wrap it in parchment paper and chill for 15 minutes. 3. Grease a 23cm/9in loose-bottomed, fluted tart tin. 4. Lay a piece of parchment paper on the work surface. Remove the base from the tart tin and lay it on the paper. Using a pencil, draw a circle onto the paper 4cm/1½in bigger than the tin base. 5. Dust the base of the tin with flour. Place the pastry ball in the centre of the tin base and flatten it out slightly. Roll out the pastry, still on the base, until it meets the circle mark. As you are rolling out, turn the pastry by turning the paper. Gently fold the pastry surrounding the tin base in towards the centre. 6. Carefully lift the tin base off the work surface, drop it into the tin, then ease the pastry into the corners and up the sides of the tin, pressing the overhang lightly over the rim. If the pastry has cracked at all, simply press it together to seal. Press the pastry into the flutes of the tin then lightly prick the base with a fork, but not quite all the way through. Place the pastry-lined tin on a baking tray, cover loosely with cling film and chill in the fridge for 30 minutes. Preheat the oven to 200C/400F/Gas 6. 1. Break the eggs into a large bowl and whisk together with a wire whisk. Add the rest of the filling ingredients and whisk again until they are all well combined. Pour the filling mixture into a jug, then into the cooled baked pastry case. To prevent it spilling as it goes in the oven, pour in most of the filling so it almost fills the tart, carefully sit the baking sheet and tart on the oven shelf, then top up with the rest of the filling to completely fill it. 2. Bake for about 30-35 minutes or until just set but with a slight wobble in the centre. 3. Leave to cool slightly then, when the pastry seems firm enough, remove the tart from the tin. The easiest way to do this is to place the base of the tin on an upturned can or jam jar and let the outer ring fall to the work surface. Transfer the tart to a serving plate and serve warm or cold, dusted with sifted icing sugar.